Most residents don’t distinguish between different types of property maintenance. In most cases, the only residential property maintenance services they will notice are the emergency maintenance measures they call for when something breaks. However, property managers need to carefully consider the types of property maintenance they will perform—such as regular maintenance, corrective maintenance, and emergency maintenance—and whether the maintenance should be handled by in-house staff or outsourced experts. Here is an overview of the three types of property maintenance and some ways to handle each type. Also known as “planned maintenance,” this term refers to residential property maintenance services that are either frequent or minor in nature—and are usually planned ahead of time to prevent issues. In many managed properties, regular maintenance such as cleaning and painting are performed by in-house staff. Regular maintenance also includes pre-planned preventative maintenance for major systems in a property—such as heating, ventilation, and air conditioning (HVAC) inspection and maintenance. This type of property maintenance tends to be low-impact and low-cost compared to corrective and emergency maintenance. In fact, it may help to forestall the need for corrective and emergency maintenance. Whether regular maintenance should be performed by in-house property management staff or by an outsourced specialist depends on what is being maintained. Basic cleaning and other duties can often be performed by in-house staff. Electrical or HVAC maintenance, on the other hand, typically requires a licensed specialist to be done correctly and to code. Corrective maintenance is the term applied to basic repairs for non-emergency items in a property. In many cases, these repairs may be conflated or confused with emergency repairs. The major differentiating factor is that these repairs are generally low-priority—residents will not be excessively inconvenienced or put at risk of harm if the issue isn’t fixed as soon as possible. However, just because there is little risk of harm or excessive inconvenience doesn’t mean the repairs should be put off. The speed of response to corrective maintenance issues can have a major impact on the renter’s experience as well as their decision to renew their lease. Here, using an outsourced expert to provide service sooner rather than later can help improve the tenant experience. This is the term applied to maintenance issues that need to be handled as soon as possible. Emergency maintenance often involves issues which could pose a risk to a renter’s health or cost the renter a significant amount of money. For example, if a floor were to collapse due to damage, there would be a serious risk of bodily injury. In such a case, the repairs would be considered emergency maintenance, and residents may have to move out while the repairs are completed. A less extreme (and more common) example would be if a building’s HVAC system were to break down in the middle of a heat wave. Residents would be very uncomfortable from the lack of air conditioning and would likely need repairs to be completed as soon as possible to avoid heat strokes or other health issues. Most of the time, emergency maintenance will require the services of a licensed expert rather than an in-house tech. Skilled and reputable pros (called “Homees”) that specialize in specific types of property maintenance are available at a property manager’s fingertips. This means a Homee will arrive in about 30 minutes to begin your emergency maintenance services after you place your order. Property managers can review requests from residents and set cost ceilings to help prevent overruns. 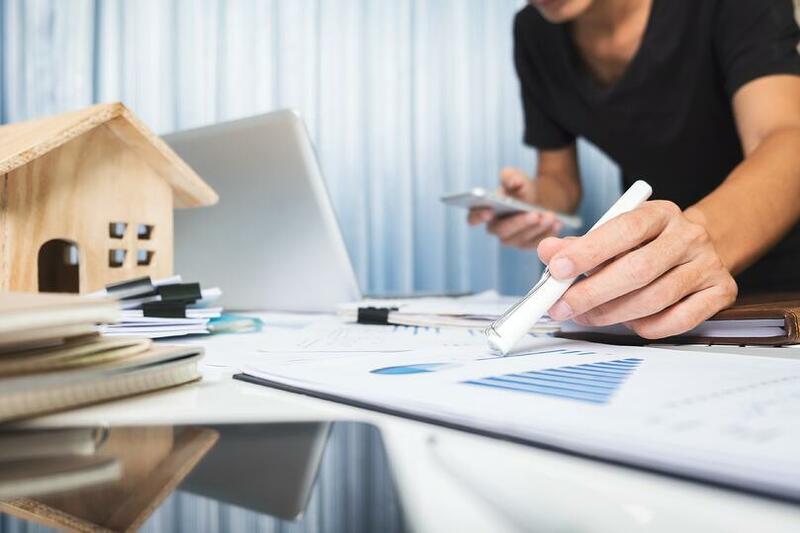 Property managers can track which types of work orders are being handled the most frequently—allowing them to modify their planned maintenance in anticipation of common issues. Improved tracking of how in-house and outsourced techs are performing based on their post-work ratings. This also means being able to see who is handling the most work when doing performance reviews for in-house maintenance techs. Tracking of work orders lets property managers see which properties are consistently having problems. The app helps improve the accuracy of assessing your return on investment for each rental property by tracking their property maintenance histories and costs. It increases resident’s happiness by improving communication between the renter, the property manager, and the maintenance technicians performing repairs. Also, because both property managers and residents can submit requests for residential property maintenance services from their phones, Homee On Demand helps ensure that emergency repairs are never overlooked and are handled immediately. Want to learn more about how you can take your property management business to the next level with HOMEE? Speak with a Homee On Demand expert today!